Sebastian Biere is one of the co-founders of JBB Rechtsanwälte and was admitted to the Bar in 1999. 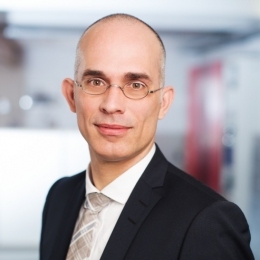 Since 1997, Sebastian Biere has been dealing with all legal aspects of the Internet. As certified IPR attorney his work mainly revolves around regulations on Competition Law. He advises firms of all sizes and in the most varied fields on advertising matters as well as on developing novel business models and means of advertising, including litigation. Another special focus of Sebastian Biere is on corporate law. He supports fledgling businesses with their incorporation process and provides advice on M&A and restructuring. In corporate management he has had personal experience as a CEO. In the past he has assisted with numerous transactions involving the new media. Sebastian Biere studied at Hamburg University. Whilst working as an assistant director and junior editor at North German Radio (NDR), he became familiar not only with the legal issues arising in the media but with practical matters, too. He spent some time working at the Brandenburg Ministry of the Interior in Potsdam, and as a trainee lawyer he was involved with launching a project on the legal aspects of the Internet, which attracted wide interest at the time.